The ever-popular chiming of the York Minster bells will take place at midnight at the York Minster and best of all…it’s absolutely free. The bells have been silent for almost a year, but now they will chime again next month with a fresh team of ringers in place. Campanology is the study of bells and the art of ringing them. The Minster’s 12 bells, the heaviest of which weighs three tonnes, are regarded as some of the best in the country, and the former team was considered among the most expert campanologists. Every year hundreds of people gather in front of the York Minster to hear the chiming of the bells. This glorious sounds signals the end of the old year and welcomes the new. Visitors from far and wide congregate in front of the historic building to celebrate the changing of the year. Prepare for it to be busy and expect lots of merry people! If you are lucky there might be a fireworks display. 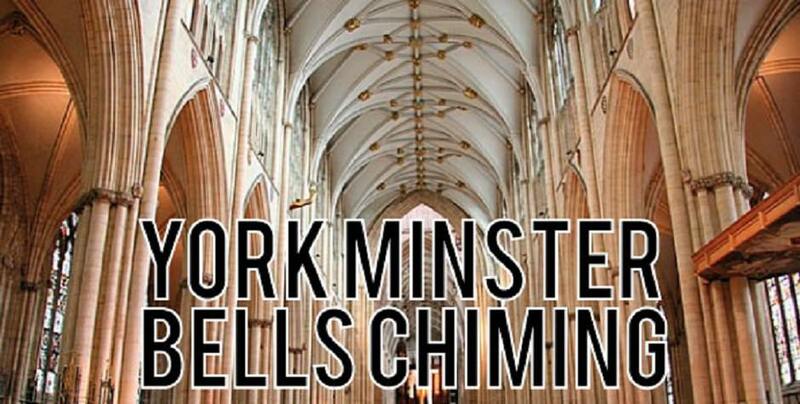 For many years the bell chimers of the York Minster have gleefully chimed the bells. But simmering tensions between the Minster’s governing body, the Chapter of York, and the ringers came to a head last October when the band was summarily dismissed and locked out of the 15th-century cathedral’s bell tower. Hogmanay is the perfect way to start 2018. If you intend to visit York, please plan ahead. Accommodation at this time of year is in high demand. Bed and Breakfast accommodation at B+B Edinburgh is perfectly located with quick access routes to all the Christmas festivities. Contact us today to arrange your booking. This entry was posted in B+B York, Christmas, York and tagged B+B York, Christmas, York Minster Bells Chiming on 19th December 2017.